Any traffic collision can be distressing and devastating. When the motorist who caused the accident flees the scene immediately after, however, the impacts can be far more difficult for injured people to deal with, especially when there may be little details regarding the identity of the negligent driver. To try to prevent these situations and encourage motorists to stay at the scene following a crash, lawmakers have enhanced the severity of the criminal charges and potential penalties for hit-and-runs in Colorado. 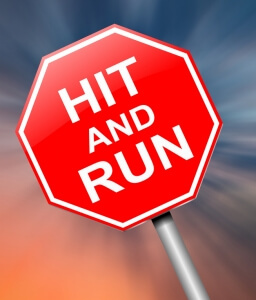 This, tragically, has not seemed to impact what some are calling the “hit-and-run epidemic” in the state, as the following statistics and facts reveal. Did you know that CO ranks 10th in the U.S. for the most deadly hit-and-run accidents? Here are more important stats about these accidents, a Denver car accident lawyer explains. Over the past few years, hit-and-runs in CO have exponentially increased – In fact, from 2012 to 2013 (the most recent years for which complete data is currently available), the number of fatal hit-and-runs in Colorado doubled. Over this same timeframe in the city of Denver alone, there were an average of 17 hit-and-run accidents reported every day. Colorado ranks 10th in the U.S. for the most deadly hit-and-runs – This fact may better elucidate the scope of the problem, as far more fatal hit-and-runs occur in Colorado than 41 other states in the U.S. Among the handful of states with more deadly hit-and-run accidents than CO include California, Florida and Texas. About 1 in every 13 hit-and-runs in CO results in catastrophic or deadly injuries – In other words, about 8 percent of all hit-and-runs in the state cause some type of incapacitating trauma that may (and commonly does) result in death. About 2 in every 3 hit-and-run victims in CO are bicyclists or pedestrians – Tragically, when bicyclists and pedestrians are the victims of hit-and-runs, it’s far more likely that these victims sustain catastrophic injuries, as there is little to nothing to prevent their bodies from absorbing the full force of the crash impact. The majority of hit-and-run criminal cases in CO end in dismissals or no prison time for negligent drivers – When the drivers who cause hit-and-runs turn themselves in or are later identified and tracked down by law enforcement, most of these drivers will never see the inside of a jail cell. That’s because about 60 percent of hit-and-run cases involving serious bodily injury to victims end up being dismissed by the court (due to, in many cases, a lack of evidence). Justice & Financial Recovery for the Victims of Hit-and-Runs: Contact a Denver Car Accident Lawyer at Bell & Pollock, P.C. Secure compensation via a civil case when the negligent motorists can be IDed and located. To find out more about your best options for financial recovery following a hit-and-run accident, contact a Denver car accident attorney at Bell & Pollock, P.C. today by calling us at (303) 795-5900 or emailing our firm using the contact form on this page. During a free initial consultation with one of our lawyers, you will receive clear, honest legal advice about your case, your rights and your best options for moving forward.